Mayor Ted Wheeler unveils East Portland apartment building ahead on of next Wednesday's vote by the City Council. 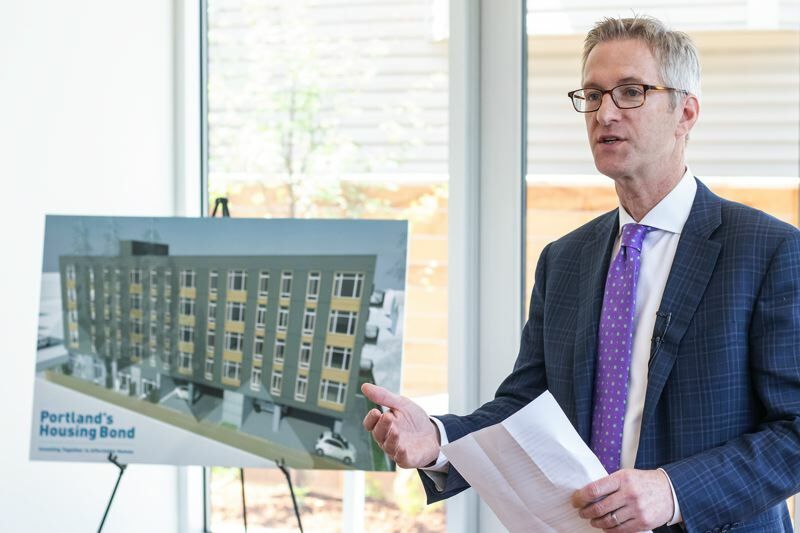 Mayor Ted Wheeler unveiled the next project to be purchased with the city's affordable housing bond on Tuesday — a 51-unit apartment building nearing completion at 105th and East Burnside. "The Portland Housing Bureau had a rare opportunity to purchase the project and convert it to affordable housing before it went up for sale," Wheeler said at a June 5 afternoon press conference at the building, adding that it is expected to house 167 people by this summer, including families currently living in homeless shelters. The Design Commission approved the project in June 2016. At the time, it was being developed by Affinity Property Management on behalf of owner Urban Green, a California-based investment company. The project was offered last December after the city solicited projects to be purchased or financed with bond funds. The purchase price was $14.3 million. The City Council is scheduled to approve the purchase on Wednesday, June 13. It will be the third bond-funded purchase. 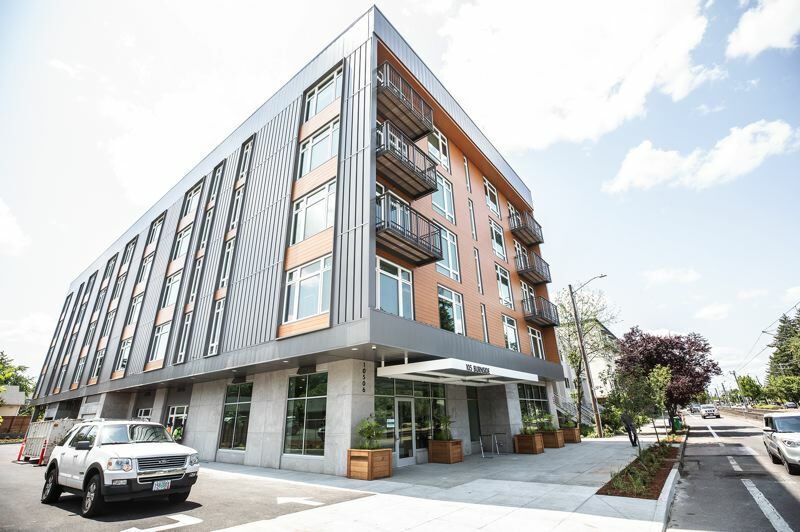 The first was the existing 263-unit Ellington Apartments in Norttheast Portland which was purchased for $47 million — $37 million in bond funds and $10 million in short-term rental taxes. The second is a project that is still being designed to be built on the site of the former Safari Club on Southeast Portland Boulevard that was purchased with other fund. The building to open in July includes seven studios, 20 one-bedroom and 24 two-bedroom apartments. Sixteen of the larger units will be reserved for extremely low-income households earning less than 30 percent of the area's median family income — currently $21,900 for a family of three. Nine will include supportive services. The building will be owned by the city and managed by Home Forward, Multnomah County's housing authority. The $258.4 milliion bond was approved by voters at the December 2016 general election.